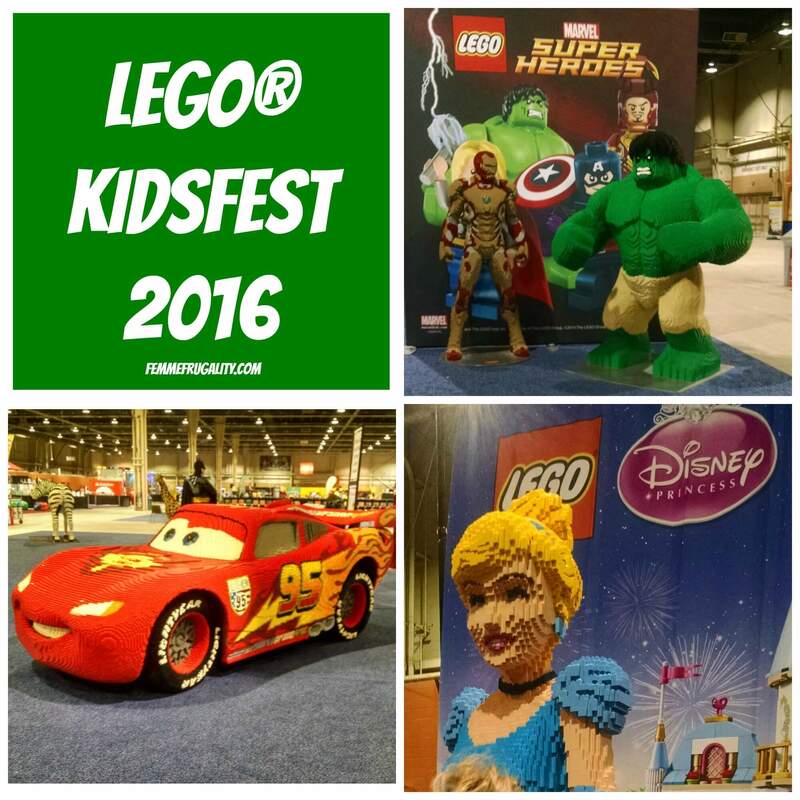 This past weekend we went to LEGO® Kidsfest. It’s been something we’ve been looking forward to for a long time. We’ve been looking forward to it so much that we were willing to make the four-hour-each-way drive to Harrisburg a day trip. It was so worth every ounce of anticipation. And every mile driven. 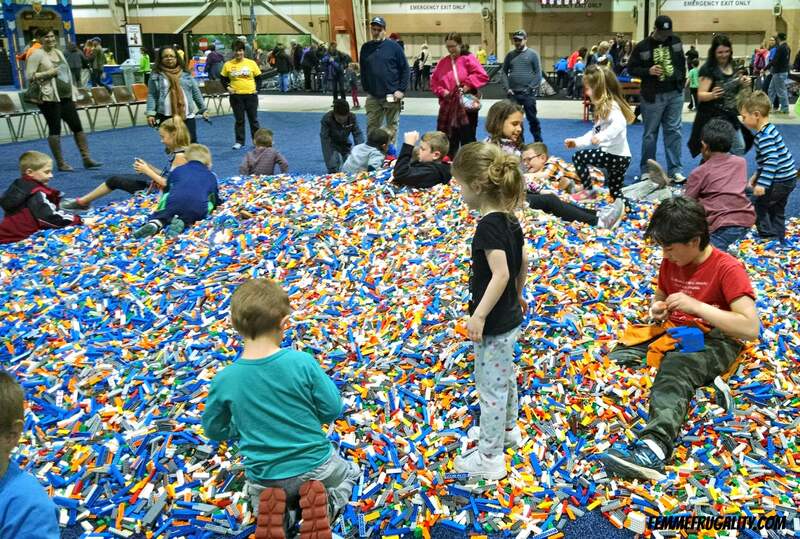 We have a kiddo who needs a little extra help, and the staff both at the Farm Show Complex and the event itself were first class. They let us go in a couple minutes early to alleviate any inconveniences for our family. You don’t find appropriate accommodations everywhere you go; it felt fantastic to not only have our needs met, but to have them met with smiling, welcoming faces by people who went out of their way to show us around and make themselves available throughout the day. After they are done explaining all the cool things to do, they let everyone in the “line” run into the displays and expositions. The joy and unbridled enthusiasm of all those kids was an awesome thing to see. Other awesome things we saw? 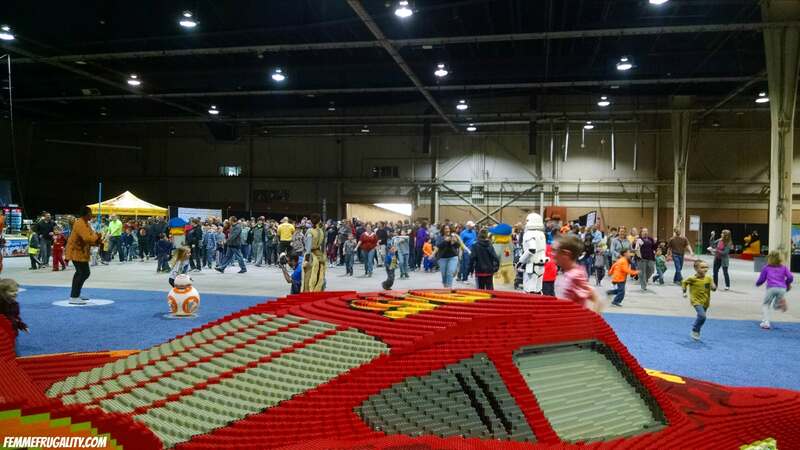 Life-size LEGO brick versions of Lightning McQueen, Marvel superheroes, Disney princesses, and Star Wars characters amongst others. There were tons of castles, an elven fairyland that lit up and moved, and an awesome map of the US built up with 3D landmarks. There weren’t just opportunities to view, though. There were opportunities to build. We built and raced our own cars. We made shields at the Nexo Knights station. 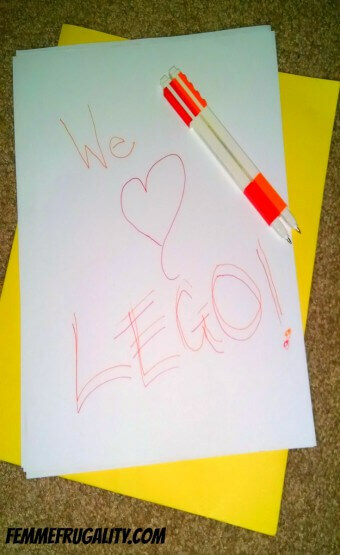 We sat in this giant pile of LEGO bricks as we experimented and played. 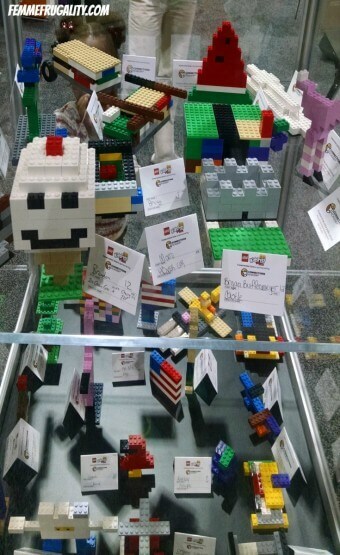 There was even a display case for the kids’ creations. I learned some interesting facts, too. 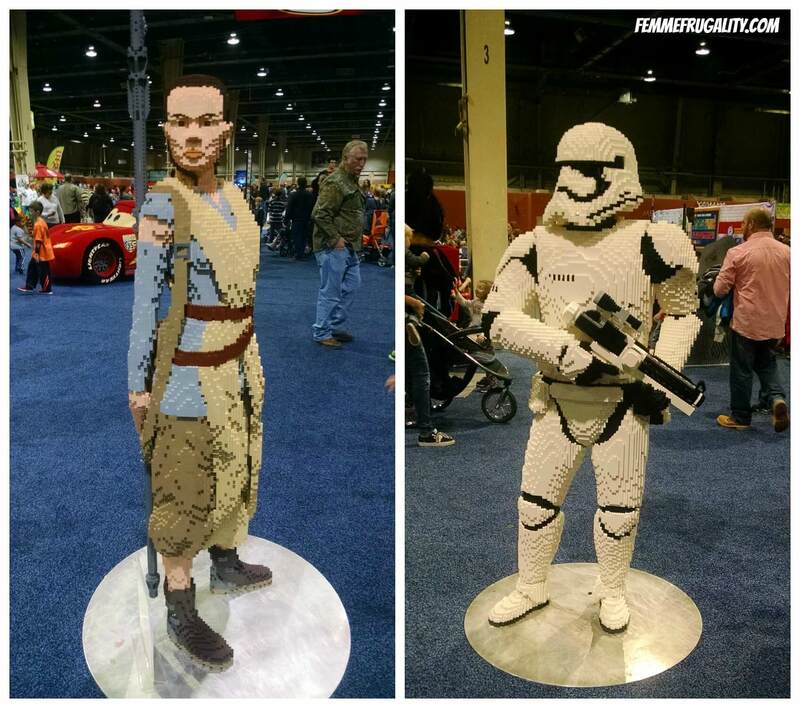 Did you know there are only three LEGO Masterbuilders in the entire world? Two of them were at the event in Harrisburg! You could sign up for sessions with them, but my kids were regrettably a little too young to sit for them. There were also opportunities to play video games and watch Cartoon Network on a giant TV surrounded by LEGO creations; both of these our attention span was too short for. But at the price, $19-$22 depending on the session time, there’s no need for FOMO. We can come back in subsequent years, and have a whole other experience without going broke. That’s what I loved most, I think. At a reasonable price, they held back no punches, and really gave a value-packed, age-appropriate experience to such a wide range of children. 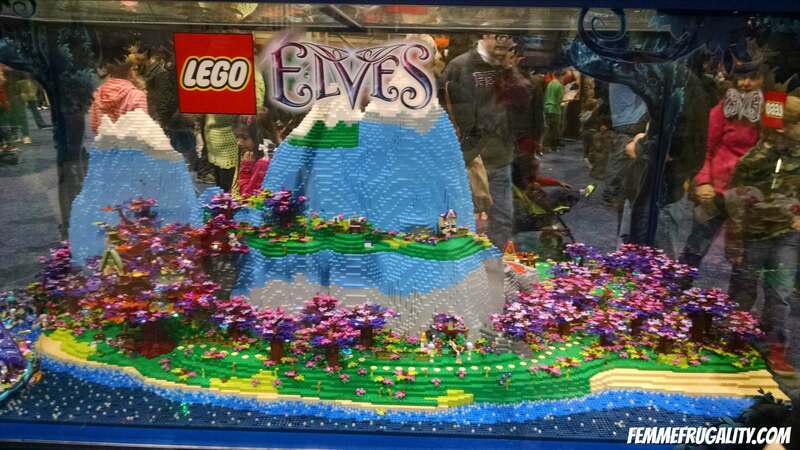 Have you even been to a LEGO event? Would love to hear about it in the comments!